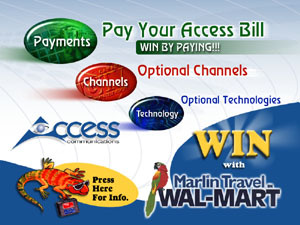 This application was developed for Access Communications and is used to accept customer bill payments. As well as accepting payment, the kiosk displays current information about Access Communications. The kiosk engine allows the owner to easily manage all aspects of the information pages including visual content, audio playback, video playback, and printouts.